2010 proved to have a number of interesting developments and surprises that have taken the tech, venture and social media society by storm. Here I am attempting to outline what I feel to be some of the more important developments over this past year. First on my list is flipboard. Flipboard is a true departure from the Web as we know it. We've spend a dozen years being accustomed to the ever so familiar web page format driven by HTML standards and ever more boring designers. 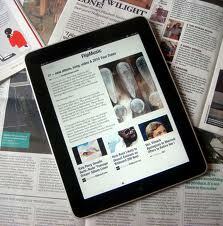 Flipboard in my opinion is the first to format the web as we more naturally consume content. Not as a boring and linear web page with flakey flash animations and graphics, but instead organized in a much more natural state. The significance of this is that in order to get beyond the desktop computer screen and on to a new mobile device, the format has needed an update. I don't want a web page on my iPad or iPhone. I want content! I do admit that it took me a bit to get used to reading Facebook or Twitter in a new format but it quickly became awkward to revert to the old format. Second on my list is Apple's Airplay. 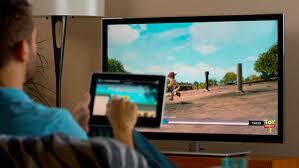 I really didn't think much about Airplay when it first came out, that was until I purchased the latest Apple TV. It never occurred to me how many people that visit my home have some Apple device such as an iPhone, iPod touch, iPad etc. and at some point want to show me something on their device. One of the great things about these devices is that they naturally encourage us to share our content with one another. The significance of Airplay is that we can now share our content outside of our home beyond the little screens that come with the device. In most homes you are never more than a few steps from a television and when someone pulls out their device to show everyone the pictures from their latest vacation, instead of huddling around a small screen, we now simply AirPlay them to the big screen. This is how people want to view and share content. We've been saying it for years and there have been many unfulfilled promises. AirPlay isn't perfect but I see it as a significant change in how we move from the computer monitor, to the mobile device, and into the living room. Third on my list is Quora. To be honest, I'm yet to find anyone who really likes it; though I believe this is because most haven't really understood what impact it may have. I've been involved in online survey based market research for a number of years now. It seems not long ago that we were trying to convince people that the internet is a suitable medium for conducting survey research. Today online surveys have overtaken phone based surveys and we are now trying to figure out social media and it's impact on research. The reality is that social media, and in particular attempts to harness it for structured research have been limited in true success and in general produces a very very noisy signal. As a result there is a tendency for many to adopt a listening approach to research which is transitional at best. Research is so difficult because there is a delicate balance between art and science. A balance between something being structured and it be natural (both tend to conflict). 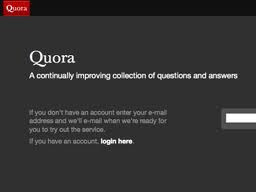 My opinion is that Quora is the first social media service where people are willing to respond and engage in a semi structured question and answer format. There are hints to this in LinkedIn and other discussion based environments. Quora is definitely interesting to watch. This list could easily be 10 or 20 items long but I've chosen to limit it to a few that have had a direct impact on my day to day, and I believe are helping pave the direction that we are moving in.